This new brooch in golden yellow has hand beading in an abstract design in hot pink and pearl white. 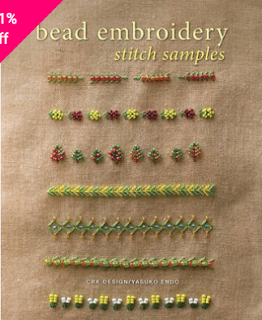 The brooch is created in fabric that's covered in free-motion embroidery. 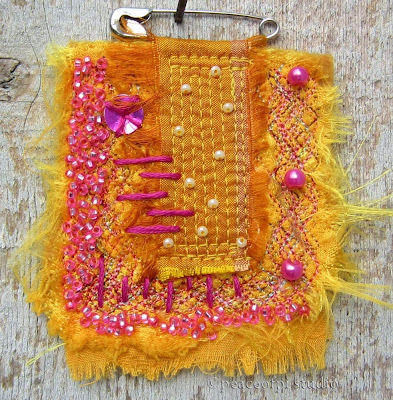 The safety pin closure and soft frayed edges add a touch of perfect imperfect to this fiber art wearable. 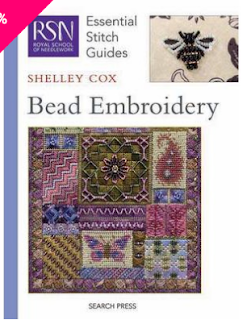 The first from the Royal School of Needlework, shows traditional methods and the second is full of modern interpretations of bead embroidery with examples of how to incorporate bead embroidery into the everyday. Both invaluable. What Fun!